If you don’t know the work of Timothy Basil Ering, you should. I would buy anything he’s worked on. My love of Frog Belly Rat Bone is profound! 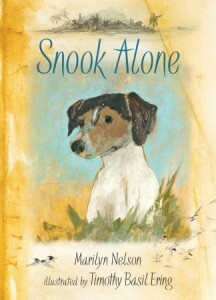 So that said, even if the reviews of Snook Alone hadn’t been spectacular, I would have bought it. In the silence, he listened. The wind was his breathing. The waves were his breath.